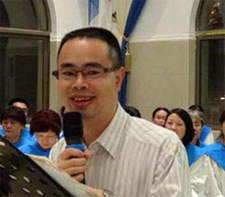 Yang Hua preaching in an undated photo. Lawyers representing incarcerated church pastor Yang Hua discovered during a recent visit with their client that he has been suffering from serious health conditions. Yang, who has been in police custody since December 9th of last year for “divulging state secrets” and other falsified charges, is experiencing pain due to a liver condition and additional major health concerns. Previously, China Aid had received a report from Yang’s lawyers, Chen Jiangang and Zhao Yonglin, confirming his poor treatment at the hands of government officials. According to an interview Chen and Zhao conducted with Yang, prosecutors visited him twice, applied pressure to his feet, and repeatedly threatened to kill him and harm his family members if he failed to confess his supposed crimes. After obtaining this information, the lawyers sued the prosecution team, accusing them of “using torture to extort a confession,” and requested that the prosecution receive legal repercussions. Yang’s lawyers originally understood that his trial would take place soon after the admittance of evidence to the courts. However, as of yet, no trial date has been announced. More information on the challenges facing Christians in China is available here. Please pray that Yang will be renewed in spirit, soul, mind and body. May he sense the nearness of our Almighty God’s reassuring presence, filling him with greater confidence and faith during this time of trial. Also intercede for Yang’s lawyers as they advocate what we hope will be a fair trial and Yang’s release so he can receive greatly needed medical attention. May God’s peace, strength, wisdom and favour be upon Yang, his loved ones, as well as those representing him, in Jesus’ all-powerful name. In northern Nigeria, members of the Islamist militant group, Boko Haram, have struck again. On September 26th, the terrorists took over three villages near the town of Chibok which is located within Borno state. It has been reported that at least eight people, including a village elder, have been tragically killed. The attackers have brazenly hoisted their flag around these villages. 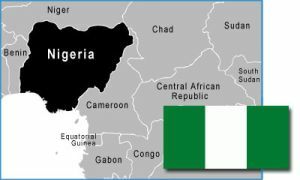 In an attempt to bring about a resolution, Nigeria’s president, Muhammadu Buhari, recently made arrangements for further negotiations to take place with the militants. The president spoke of his willingness to arrange a swap, freeing a few imprisoned militants in exchange for the girls’ safe release. On the day of this posting (October 13th), it was reported that negotiations mediated by the Red Cross and the Swiss government have resulted in some success. According to various news sources, 21 of the girls have just been released! May God minister great comfort and healing to all those who have been injured and bereaved as a result of these recent attacks. In addition, pray for the remaining abducted Chibok schoolgirls, that they will be assured of the Lord’s abiding presence, love and healing as they await their own release from captivity. Continue to uphold President Buhari, and other members of the Nigerian government, as they make further attempts to rescue the remaining girls and defeat Boko Haram. As they persevere in their endeavours to overcome terrorism, may they be granted wisdom, courage, strength and help from on high. Leah holds a Nepali Bible. “Leah,” a 15-year-old girl from a rural village in Nepal, has been told that her Christian faith was the cause of her father’s illness. Although Leah’s family was initially opposed to her conversion to Christianity, the young believer steadfastly held onto her faith in Christ, walking for about four to five hours to attend church with other believers. Thankfully, Leah’s family members are now showing an openness to the Gospel as they are attending church with her. Please pray that they will also wholeheartedly commit their lives to the Lord, joining Leah by becoming strong witnesses of the Christian faith.